Happy Monday! Hope everyone had a wonderful weekend. I tried Thai food for the first time (really good! ), had some friends over for drinks, and soaked up a little sunshine. 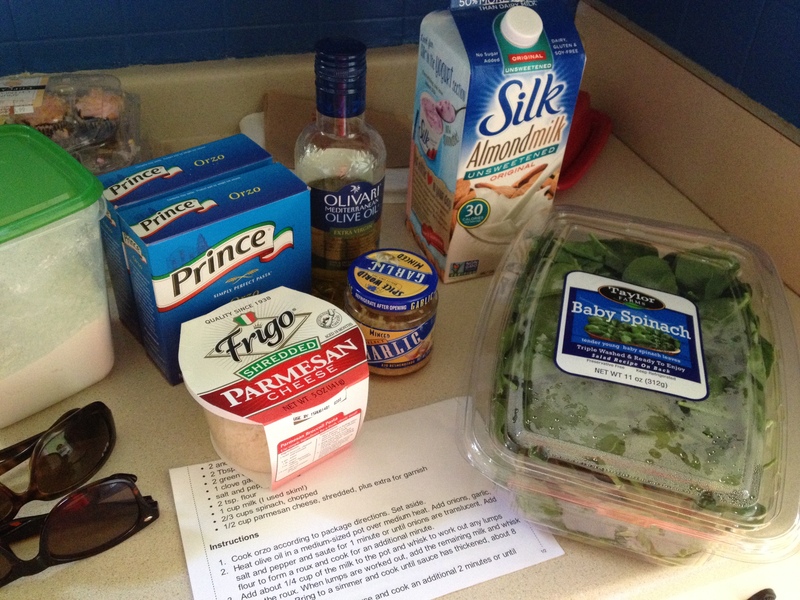 I also got the chance to try this Pinterest recipe that I had been meaning to make for awhile. 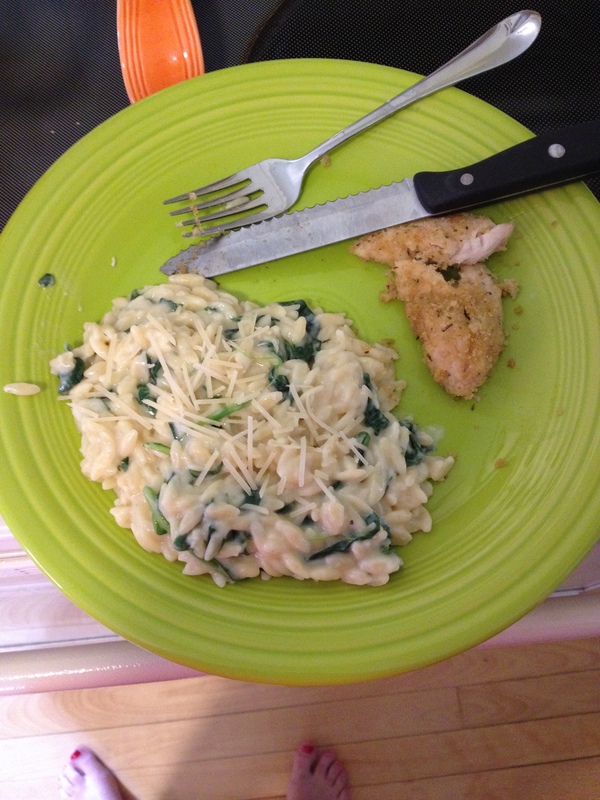 I love anything involving cheesy pasta, and I had never cooked orzo before, so I was excited to try it! 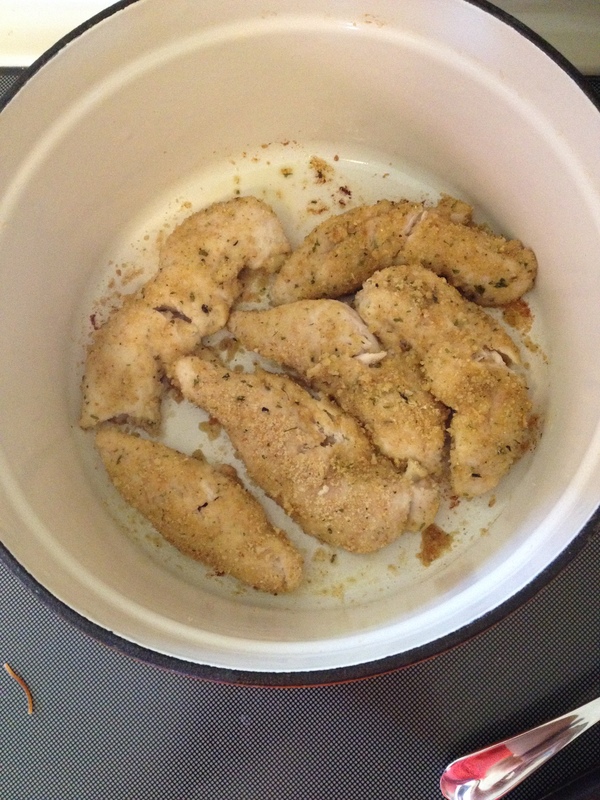 I tweaked the recipe a bit to suit my tastes and made some breaded chicken to go with it. It came out delicious! 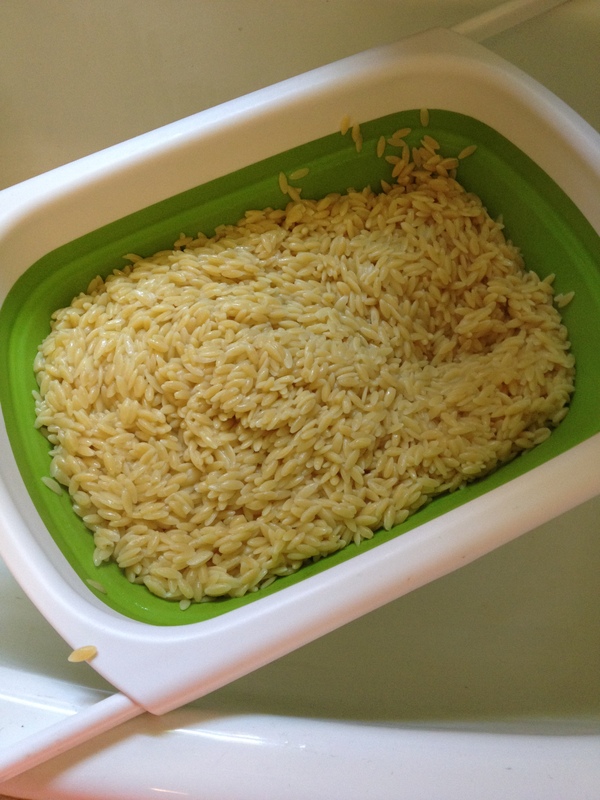 Cook orzo according to package directions. Set aside. Heat olive oil in a medium-sized pot over medium heat. Add garlic and saute for 1 minute. 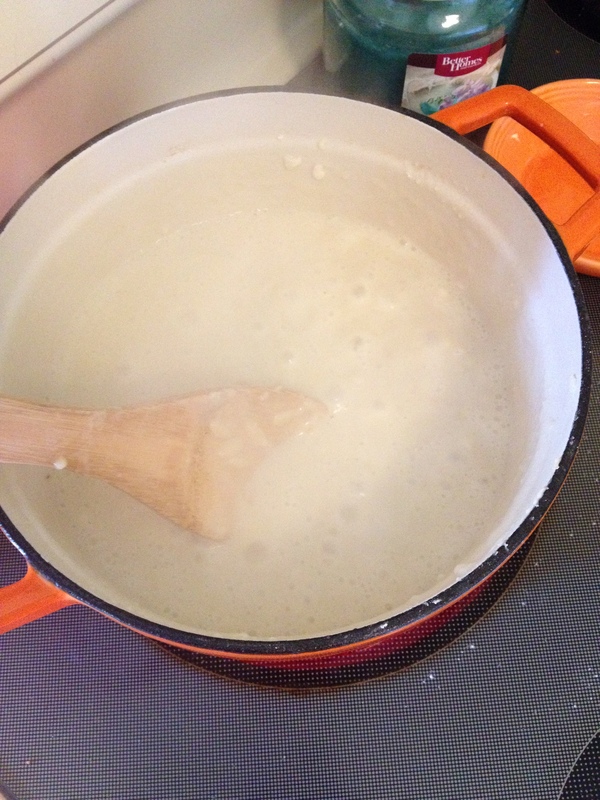 Add half of the flour to form a roux and cook for an additional minute. 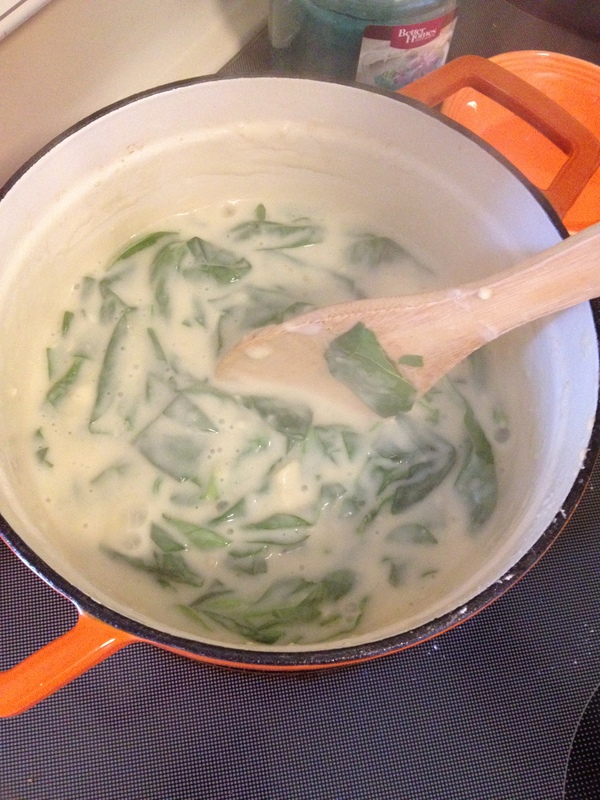 Add about 1/2 cup of the milk to the pot and whisk to work out any lumps from the roux. 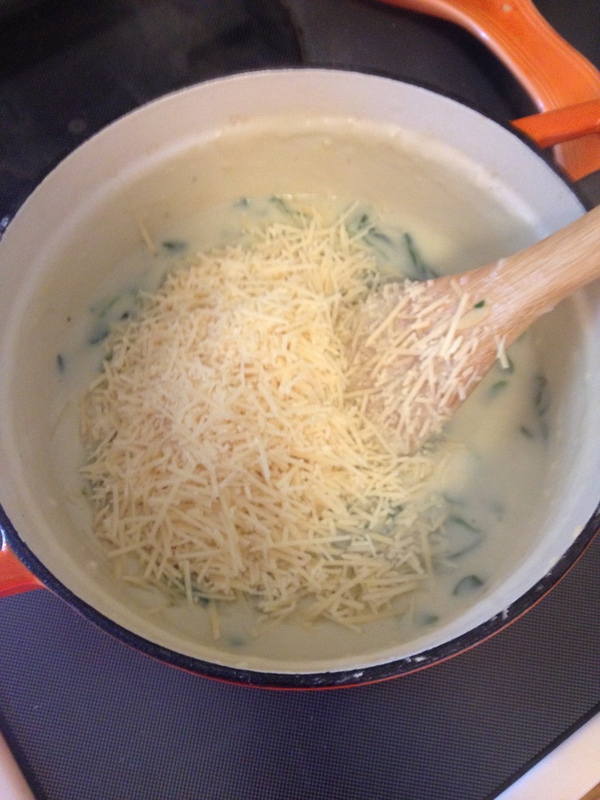 When lumps are worked out, add the remaining milk and flour and whisk to combine. 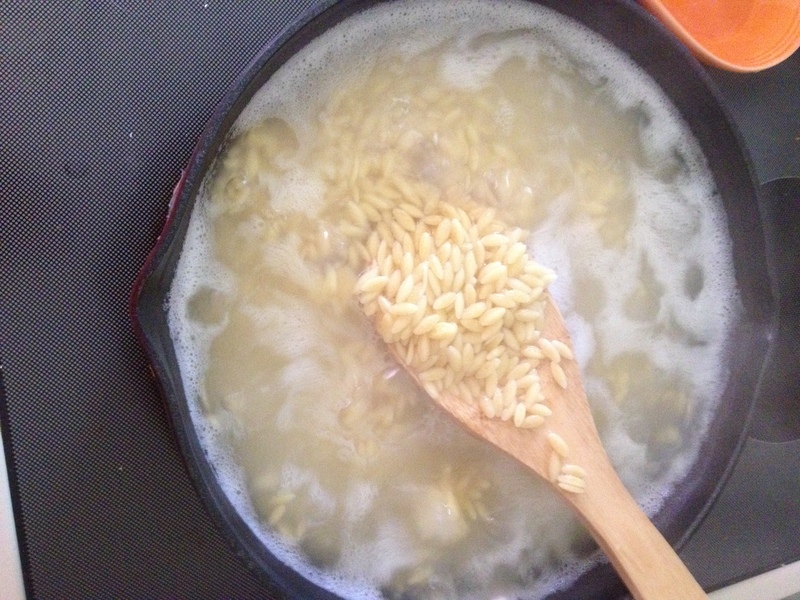 Bring to a simmer and cook until sauce has thickened, about 8 minutes. Add in as much spinach as youd like! ** To make the breaded chicken, I simply dipped chicken breast tenderloins in a mix of olive oil/garlic powder/Italian seasoning to coat both sides, then dredged them in Italian breadcrumbs and baked for 20 minutes at 350 degrees F.
Simple and delicious breaded chicken! 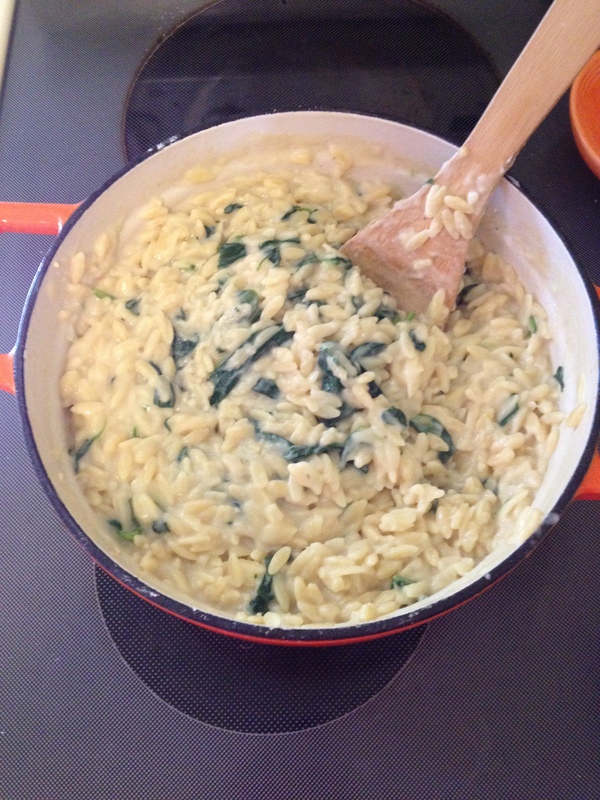 Stay tuned for another orzo recipe soon!